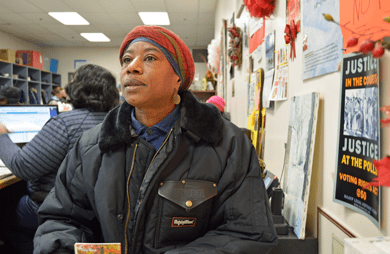 On a cold winter day, 50-year-old Melody walked into Bethany Baptist Church in Newark to receive bags of much-needed food. It’s the end of the month, which means people are running low on or have run out of their food resources. 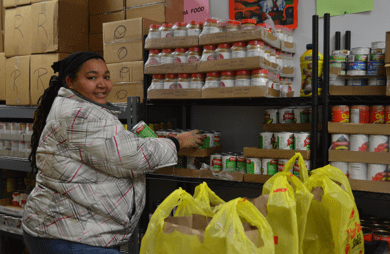 “Sometimes in the middle or end of the month, I get low on food,” Melody said. She makes tough choices to get by, a reality many struggling New Jerseyans face every day. 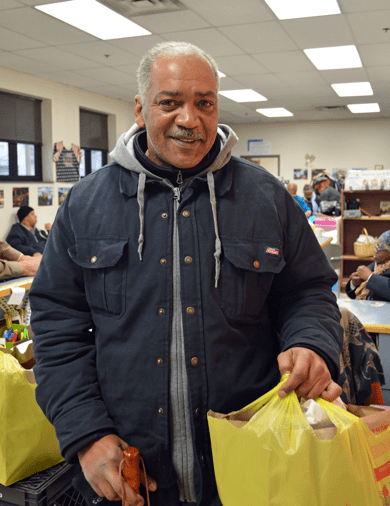 Of the hundreds of thousands of people we serve through community partners, like Bethany Baptist Church, 77 percent told us they have had to decide between utilities and food; 73 percent between medicine and food; and 70 percent between housing and food (Hunger in America 2014). The pantry is a “godsend,” Melody told us, because it helps her provide for herself and her grandchildren. He told us the last year has been a struggle for him. “It’s tough to be out of work after working for 32 years and not being able to provide for your family,” Paul said.